On March 8, 2016, renewable energy company Citicore Power inaugurated its Next Generation Power Technology Corporation (NGPTC) 18 MWp solar power project in Barangay Alasasin, Mariveles, Bataan. Construction began in October 2015 by Megawide Construction Corporation, owned and operated by Megawide`s sister company Citicore, with Conergy serving as the EP contractor. Project funding was secured through the Land Bank of the Philippines with Primeiro Partners as financial consultants. 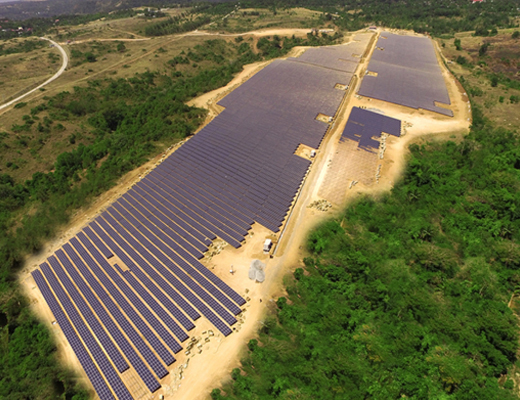 Within the Freeport Area of Bataan (FAB), the 18 MWp Bataan PV Power Plant produces some 25,338 MWh per year of solar electricity, offsetting about 15,532 tons of CO2 per year and powering over 20,000 average Philippine households annually. The Bataan PV Power Plant was installed in just 92 days from start of construction to first power out.